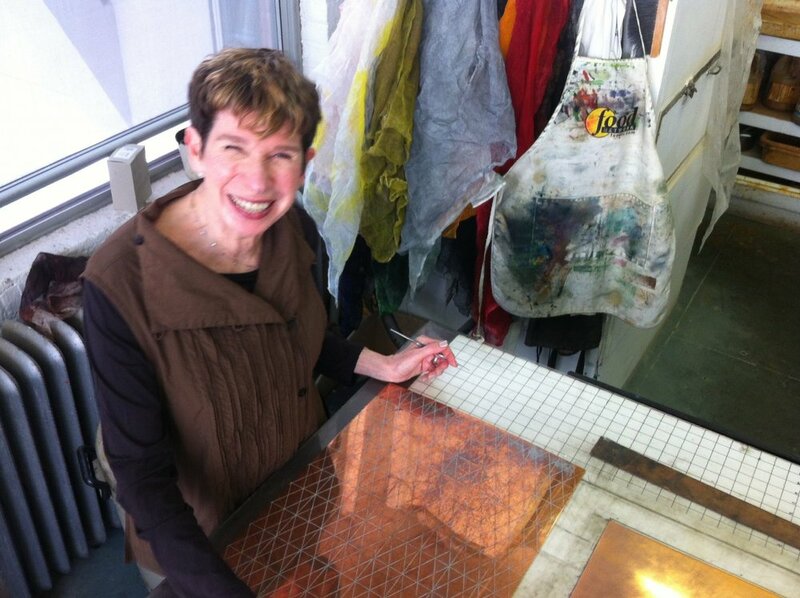 Arlene Slavin is a multi-faceted sculptor, painter, and printmaker who has created large scale public art commissions throughout the United States using laser cut steel and etched glass. She earned a BFA from Cooper Union and an MFA from Pratt Institute. Slavin has been a visiting critic at University of Pennsylvania Graduate Art School, Syracuse University, Pratt Institute and Skowhegan Art School. She received a National Endowment Grant in Printmaking in 1976. Her work has been exhibited in the Whitney Museum Biennial, and many other museums and galleries throughout the country. It is included in numerous corporate and public collections including Metropolitan Museum of Art, Fogg Art Museum, Brooklyn Museum of Art, Cincinnati Art Museum, Orlando Art Museum and Chase Bank.